"Ole has had the chance to look at the team this season and he absolutely needs to be fighting for all the big prizes next season." Seeing Ole has been given the job full-time was great news to wake up to on Thursday morning. I'm very happy for him; it's fully deserved - he's done magnificently well and has earned this chance. The players and fans are all happy and it's a good day for the club. As I've said before, it was slightly strange for United not to have offered Ole the job already but the board obviously thought the international break was a good time to sit down and take stock of where they are and they've decided he's the man to take them forward. To see an ex-player given the chance to manage a massive club like United is good to see and really encouraging for those of us looking to get into coaching - it's almost like he's representing us ex-players, inspiring people to go out and do something. I was glad to see United offered Ole a three-year-deal, it shows they have confidence in him to build for the future. Something like an 18-month contract would have shown a lack of faith. Getting the job is a brilliant first step, but in many ways the difficult work starts now. The pressure is going to be huge - Ole will now be fighting to keep the job, rather than get it. I've heard the argument that United were holding off appointing Solskjaer full-time to keep the players hungry, but there is no way they will take their foot off the pedal - these are top professionals and they have loads to play for. The aim this season will be to get in that top four - and as far as they can in the Champions League of course - but come next season they need to be targeting the title. This is Manchester United we are talking about! 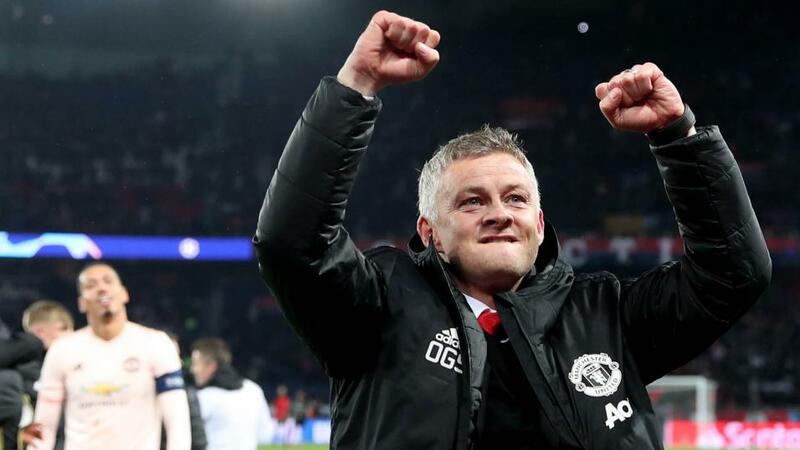 Ole has had the chance to look at the team this season and he absolutely needs to be fighting for all the big prizes next season. United have spent a lot of money in recent seasons, so they need to make sure they don't spend for spending's sake; they need to think carefully about what they need and choose wisely. In attack, with Rashford, Martial, Lukaku and Lingard, they have everything they need, but I think they need to focus on two areas; central defence and a central midfielder who can free up Paul Pogba to play in attacking areas. We've seen lots of names mentioned as a potential defender signing, with Harry Maguire and Toby Alderweireld consistently linked, and I like them both - they're solid and comfortable bringing the ball out of defence. One player I would love to see at Old Trafford is Ajax defender, Matthijs de Ligt, although I know every big club in Europe is after him. I watched him play against Real Madrid and he looks the real deal - so confident and assured for a player of his age. Having his international team-mate Virgil Van Dijk already in the Premier League could be a boost for any English team chasing De Ligt. The Liverpool man will be telling him how good the league is and that can make a real difference to where you choose to go. The Premier League returns this weekend and the first game sees Man City travelling to Fulham for the Saturday lunchtime game - and playing earlier than Liverpool will be a real boost for them. The Liverpool players will be watching that game - trust me - and willing Fulham on, but if City win as I expect them to, they'll be thinking 'we have to win now' and the pressure will ramp up ahead of the Spurs game on Sunday. The pressure can get to you, but it's how you handle it that's the key. 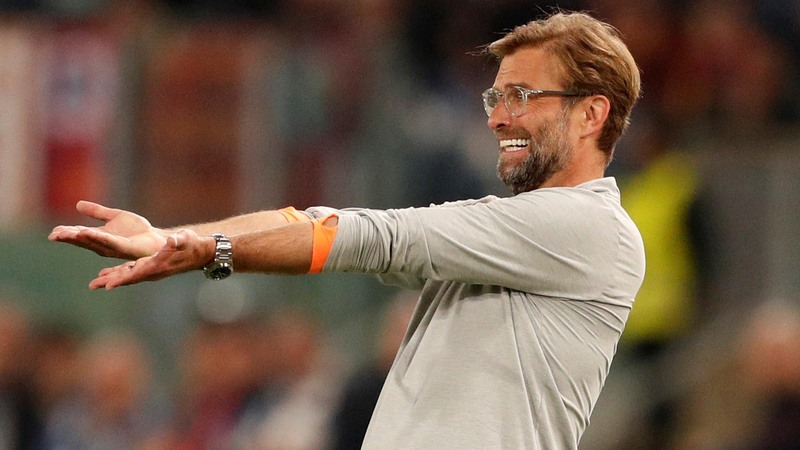 Jurgen Klopp and his coaching team will be doing all they can to relieve that pressure, but the players need to be professional and not overthink it. The Betfair market has Spurs as big outsiders for the game at Anfield - currently around 5/1 - but Liverpool won't underestimate them for a second. It's a crucial game for the Reds, but also for Tottenham who are fighting for a place in the top four. Spurs have been on a bad run, but the international break came at a good time for them. Harry Kane scored a couple of goals, Dele Alli got some minutes into his legs and they'll be looking to kick on again for the last part of the season. Tottenham have a terrible record at Anfield but players don't really think about that sort of thing and this is a difficult game to call. Win £100,000 on our Football Jackpots!